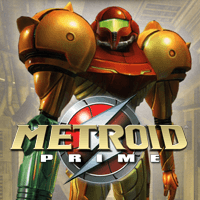 Before going any further, this like all the other Metroid Prime games is very involved and takes a long time to complete. You will find yourself going backward and forward over large parts of the levels in order to get further. But they have done it in such a way that keeps your interest. The first thing that will hit you is the high quality of the animated sequences and the ease of use of the controls, it won't take you long for it to become second nature. As you wander around the detailed environments and go through the first few rooms you may wonder where are all the enemies are to attack... don't worry that will change later, but this does help ease you into the game. 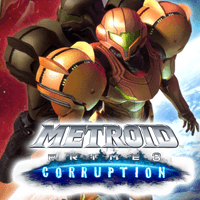 You play the role of Samus Aran, a bounty hunter who is set the task of investigating a missing Galactic Federation ship and its crew who we find on the planet Aether. Sounds simple enough, I'm afraid not! Once you find the ship the plot deepens and eventually you get drawn into a civil war between the Luminoth (a benevolent, mothlike race that inhabits Aether) and the Ing (a vile host of dark creatures who reside in an alternate-reality version of the planet referred to as Dark Aether). And you get set the mission to restore peace to the planet and let the Luminoth rule again. Not the easiest of tasks I can tell you. As I've found with all the Metroid Prime games you seem to loose all your special weapons early on (Morph Ball included), so giving you the incentive to search around and find them. As you go through you will find all of these will help you search places that weren't accessible to you before. There's even a new seeker-missile ability that lets you point at five targets at once and then launch missiles to strike them all simultaneously. Like you have already read, there is the Aether and alternate-reality Dark Aether and in order to go back and forth through the each different alternate-reality you will have to use the portals. As you go through the game these will become even more essential. For example lets say you have to activate one of the PowerStation's in the Aether, the switches will exist in the mirror location in the Dark Aether, meaning you have to go backward and forward between each. Sounds strange which it is, but does make for a good game. One thing that annoyed me at first was how aliens that you once killed in a location could appear again when visiting the same location later. But as the game progresses and you get more powerful weapons it gets to be fun. You can tell that the game developers - Retro Studios have gone all out to impress, and it works. This game deliveries on every front, gameplay, plot, graphics and music, the list is endless. This is one game you will be able to play over and over again, and be able to complete in several different ways. 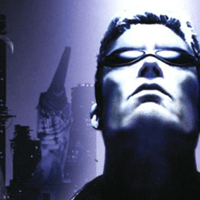 It's a game that shows how powerful and impressive the capabilities of the GameCube are, or should I say once were since at the time of writing this I own and play it on a Nintendo Wii.